Thanks for stopping by. I am so excited to have our guest designer Nicole from Creative Delights by Nicole visiting with us at MAG this week. I love the things she does with vinyl. She is the vinyl Queen. She is totally AMAZING!!! 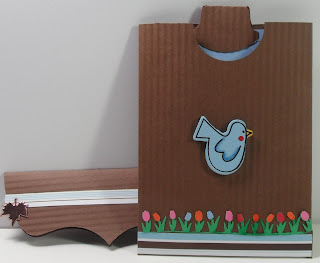 Stop by her blog and see what she has created this week!! I am so into pocket cards right now and I don't know why. I like them because of their versatility (looks, use, and sizes). They really have been really fun to make. 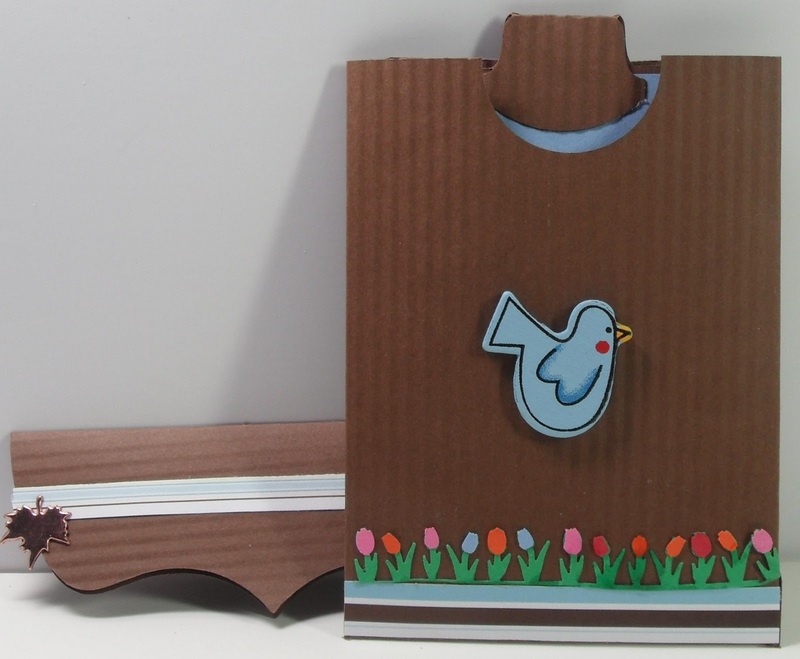 At MAG we had another challenging task make a card/project using the Storybook Cartridge (p. 69). After looking at the page here is what I came up with and I also decided that this little guy looks like he is flying underneath a tree. Okay, have you guessed what I used. I will tell you. I used the top note in order to make the lid of the pocket card. Comments are welcome. Enjoy and GOD Bless! 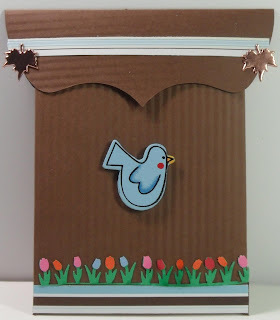 Another fabulous pocket card! Great use of the top note card. Yes, video please! Also, congrats for winning over at CWC! This is really cute! What a great way to use that cut. 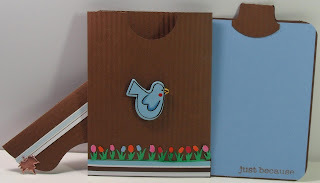 What a cute card, I love blue with brown, my favorite :) Great job, TFS! Love the crimping... that really calls attention to the darling bluebird! 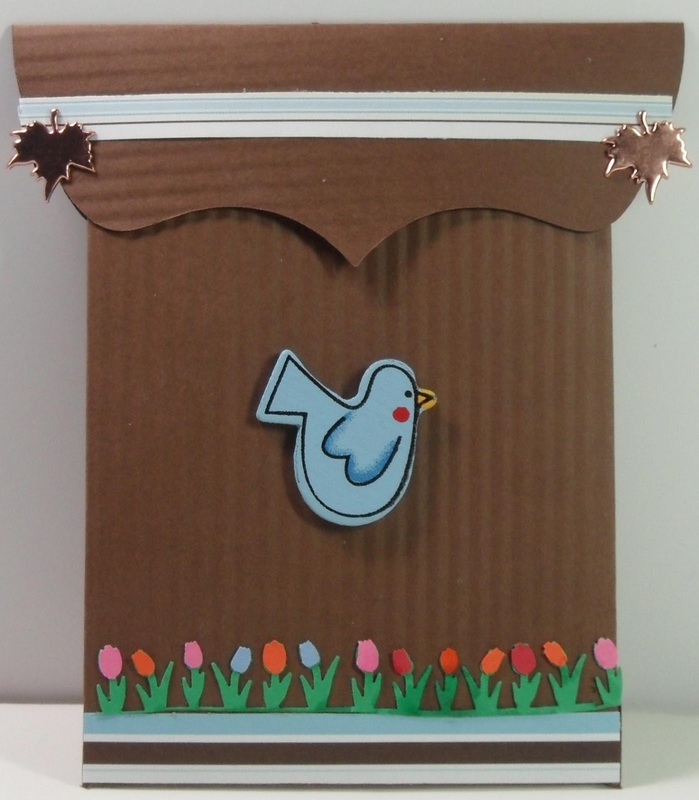 AND since I ma pretty new to card making in general I am so excited to discover your blog!! LOTS of inspiration! Wish I could join you this week! Have fun! What a fantastic card/envelope! What a wonderful way to send some love! I just love how everything coordinates together. Great job! wow! What a neat idea! Have you entered Robyn's challenge? 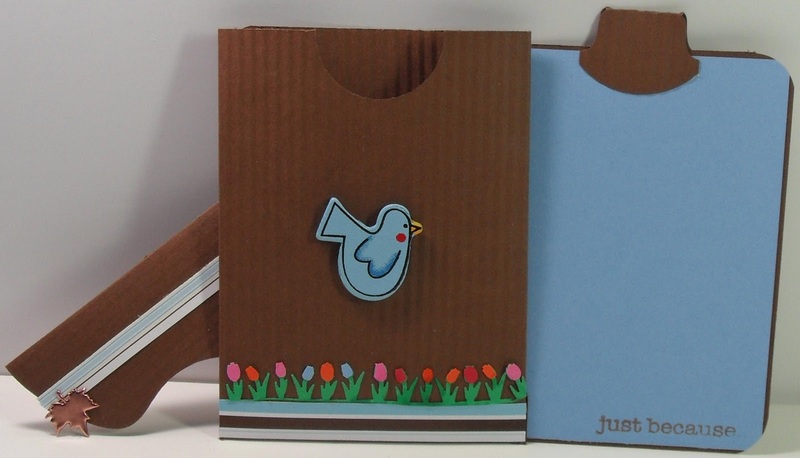 Very cute...I do think that cute little birdie is flying by a tree or a fence...very clever use of the top note! :-) TFS!